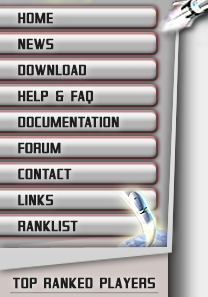 Play Galactic Magnate online for free against other players all over the world. Meet other fans, chat in chatrooms and play together. Use our online ranking system to find out how good you are compared to the other players. 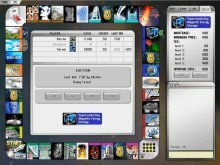 Galactic Magnate is a free game that merges several gaming concepts. Game basics are similar to a popular classic board game. However, the rules of Galactic Magnate are made to minimize the impact of luck, so the game outcome is almost totally dependent on players' choices. This makes Galactic Magnate very similar to strategy games. 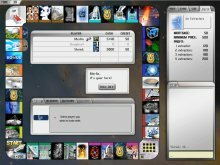 Enjoy a game of Galactic Magnate and use your wits to defeat the opponents. The game offers numerous strategic choices in buying, upgrading and trading. Will you offer the highest price on auction, or are you just ramping the price up so your opponents have to pay more? Its fun and exciting to play against other human players. Try to defeat them, and check your progress on our online ranking system. Download the game to play online now, absolutely free of charge.